Wait, I'm confused. Are you in DC or LA? Though LA is where my businesses are, DC is where I call home. Starting Spring 2016, I will be available to take on DC clients on a full time basis. LA clients can be accomodated via retainer. Can you Train me at my Home / Office? DC Clients: For an additional fee, I will travel to most of NWDC to accommodate you at your location (limited availability plus additional fees). Please make sure your gym allows independent trainers. UPDATE: As of 9/1/17 this option is SOLD OUT. Please inquire for Spring 2018. LA Clients: You must purchase a weekly retainer. I offer a flat rate option that includes on set training anywhere in the continental US. Up to 15 Hours of progressive training per week for you, your team or cast. Airfare and accommodations are included at no additional fee. I'm doing a free consultation. DO I need a membership to your gym? No. 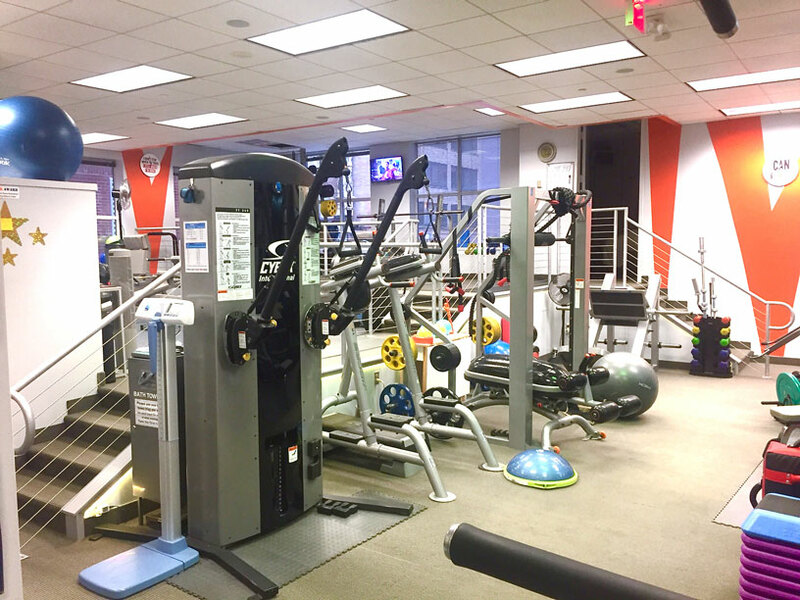 All personal training packages include access to a private, 3500 square foot fully equipped gym in downtown DC (1 block from Golds Gym). There are no additional fees or commitments. We have every piece of equipment you will ever need in addition to showers, towels and hygienic products. To protect the privacy of my clients, you will be given the exact location of the gym upon booking your consultation. If you are training with me at Mansion Fitness in LA, there are no additional gym fees or memberships required. I AM INTERESTED IN-HOME/OFFICE TRAINING. WHAT KIND OF EQUIPMEnt will I need? You can hire the best plastic surgeon in Beverly Hills - but if you make him/her work out of your living room without their state of the art equipment, sure the job will get done --but how well? The very best results are achieved when you come to me where I have everything I need. You will be fine with in home training as a beginner, but will soon find yourself outgrowing your space as you progress. How long until my sessions expire? You'll receive ample time to finish all of your sessions. Typically, a 1 month personal training program will expire in two months and a 3 month program will expire in six months. Session expiration dates may be extended on a case-by-case basis depending on your situation or medical condition as well. However, my goal is not to drag on your package for months. Ideally I'd like to get you in, get your results and make room for the next person. Derrick, I saw another trainer offering a 100% money back gUArantee. Do you offer this? Any trainer who thinks he/she can predict what you will be doing behind closed doors is not being truthful to you. I can show you the quickest path to fitness but it's up to you to follow it and no one can guarantee that. The strings attached to that kind of deal are usually stringent requirements that you make all of your sessions, have a perfect diet log and proof that you did all your cardio and lifting homework. I've spoken with a trainer who actually offered that gimmick and he told me "In 5 years of offering it, only one person has ever asked for a refund...Most people know they screwed up the diet etc. so they don't dare ask for their money back". Shady. DERRICK, WHAT IS YOUR CANCELLATION POLICY? The best in the business. Unlike other trainers who have a 24-48 hour cancellation policy, my cancellation policy is honor code based within just a few hours. The day before, I ask no questions. Same day cancellations however will be considered on a case-by-case basis.